Snowman pattern to print or download. Fun and easy to use. 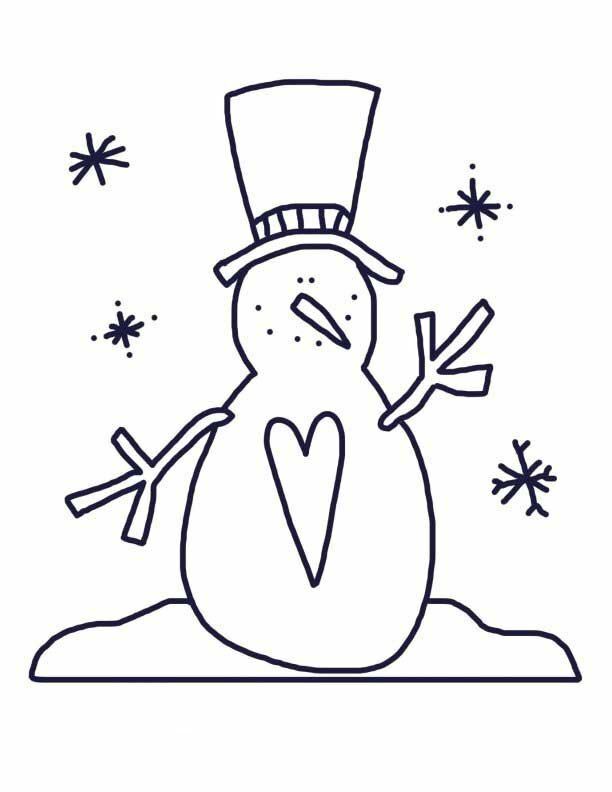 Snowman has a top hat, large heart on his body and it is snowing. Best ever snowman for coloring or crafts.